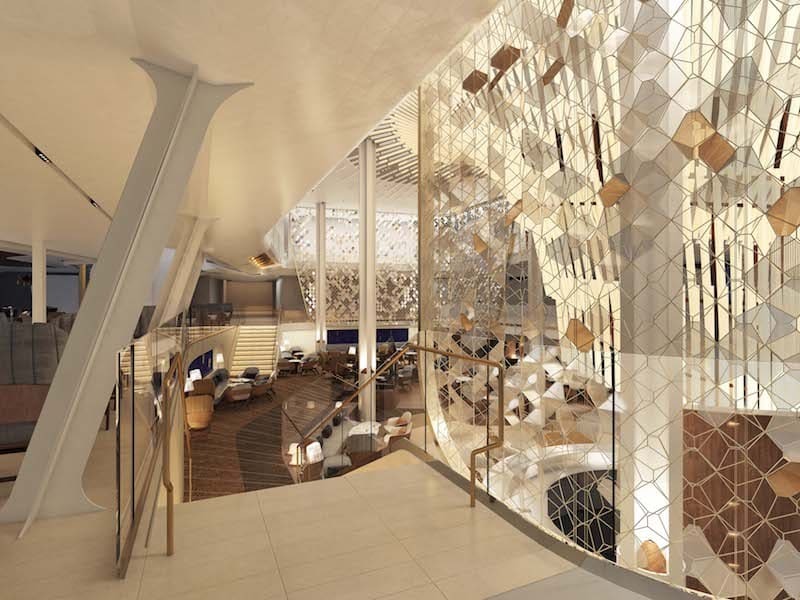 With Celebrity Edge less than three months from delivery, Celebrity Cruises completes the final chapter of the ship’s transformational design story, with the reveal of iconic spaces designed by renowned designers, Patrick Jouin and Sanjit Manku, of Jouin Manku Studio. This includes the stunning space that will become the beating heart of the year’s most anticipated new ship, The Grand Plaza, yet another venue designed to break from traditional cruise ship thinking and shatter all expectations. With the aspiration to completely transform the way guests connect to the world, Celebrity Cruises sought creative thinkers who were new to the cruise industry to ensure every aspect of Celebrity Edge would be a departure from traditional thinking about cruising. Among those chosen was the Paris-based design duo of Jouin Manku, who are celebrated for drawing inspiration from a multitude of cultures and for merging cutting-edge technology with old-world craftsmanship. They are credited with world-famous works such as the Alain Ducasse au Plaza Athénée and the Jules Verne restaurant in the Eiffel Tower. Together, the visionaries collaborated with the Celebrity Cruises team to bring these new concepts to life. 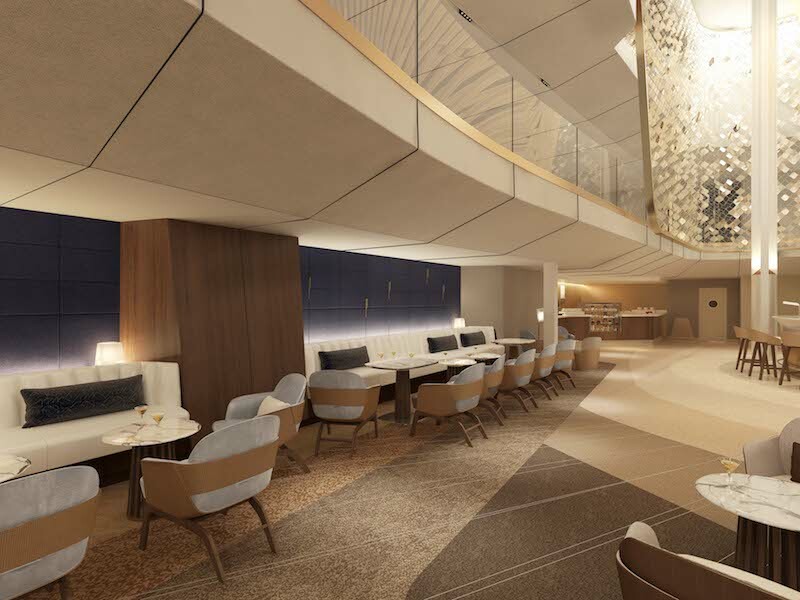 Mixing simplicity and modernity, The Grand Plaza takes inspiration from the glamorous days of transatlantic travel. At a time when cruise ships were at the heart of chic society, the center of these ships were traditionally spectacular ballrooms, accented with dramatic staircases and ornate chandeliers. They were social places to meet, greet, dine, drink and dance. The Grand Plaza pays homage to these powerful historic spaces and reinterprets them for the 21st century. Spanning three decks at the heart of the ship, The Grand Plaza acts as the epicenter of Celebrity Edge, which radiates an energy that lures guests throughout the day, as it transforms both physically and atmospherically. Guests are drawn to the space by The Chandelier, a striking lighting feature – and art installation – that rises over the Martini Bar to the ceiling three decks above. Composed of five levels of 765 blades illuminated by dynamic LED strips that change color from day to night, The Chandelier weighs in at seven tonnes. Here, guests will be transported to the lively piazzas of Italy, of which this sprawling 480 meters sq. space was also inspired. Home to many of the incredible new specialty restaurants – including Raw on 5 and Fine Cut Steakhouse on Deck 5; Le Grand Bistro and Café al Bacio on Deck 4; and the new Grand Plaza Café on Deck 3 – The Grand Plaza truly is a grand space. 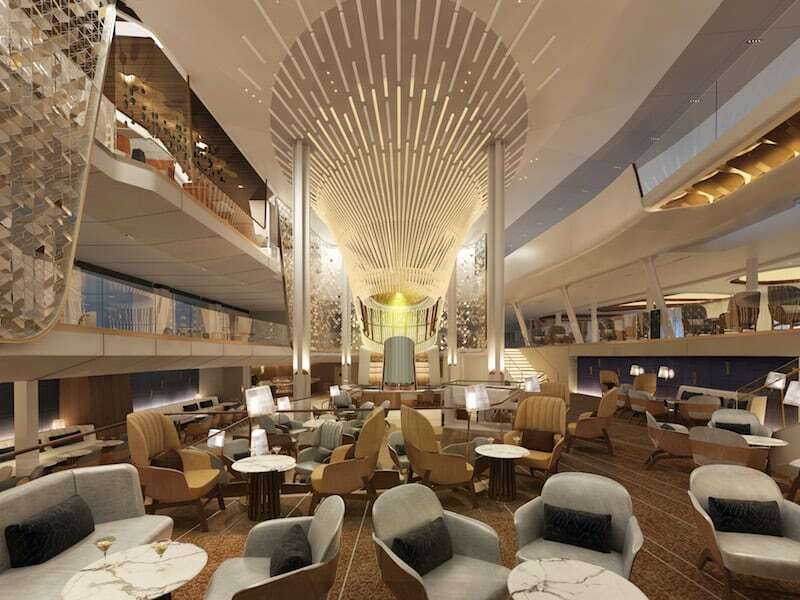 At its center, on Deck 3, guests will find the breathtaking next evolution of the always-buzzing Martini Bar, one of the most popular venues across Celebrity Cruises’ fleet. 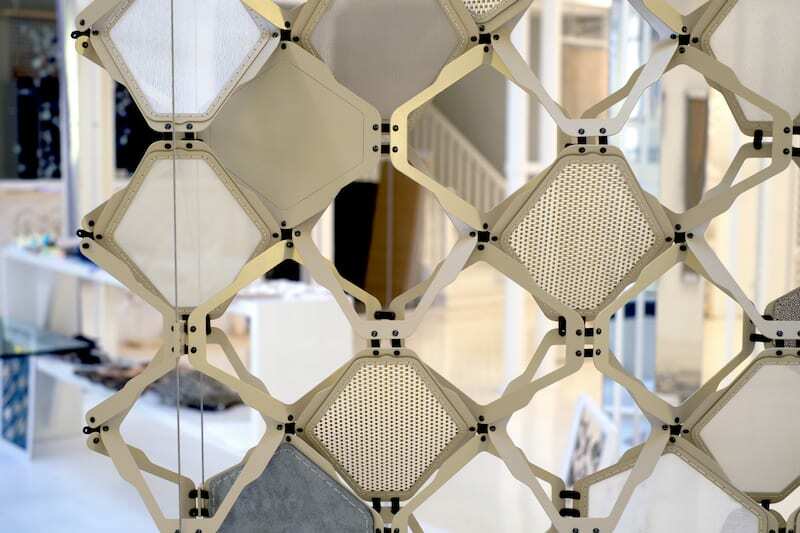 Adorning the edges of The Grand Plaza are intricately hand-stitched mesh screens, combining more than 13,500 pieces of metal, leather, and fabric. In the morning, The Grand Plaza invites guests to enjoy a cappuccino and a croissant at either of the cafés. Guests can return to The Grand Plaza for afternoon tea or to indulge in a pre-dinner cocktail while enjoying unexpected pop-up performances. At nightfall, the energy transforms completely, and the space becomes the social epicentre of the ship, coming alive with live music.